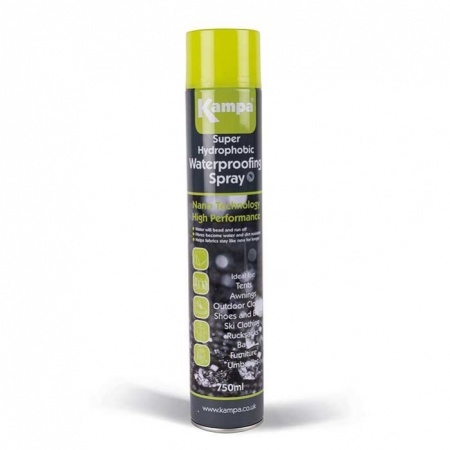 Offering top class protection from revolutionary nano technology, the Kampa Super Hydrophobic Waterproofer spray repels water without greatly affecting feel or breathability. When the nano protector penetrates the fibres they become water and dirt resistant - water will bead and run off. Suitable for restoring the durable water repellant finish on most breathable fabrics, maintaining their breathable qualities. A built in UV filter helps fabrics stay like new for longer. Effective on nearly all fabrics, the proofer restores a durable water repellent finish and helps prevent damage from UV.